Think you won�t need the services of a professional exterminator when spring finally rolls around? �Think again. �Winter weather is heading our way; but in North Texas, that generally means a handful of sub- or near-freezing days and the rest of the season is slightly chilly at best. �What does that have to do with spring pest control? �A mild winter means that the bug-breeding season is longer. 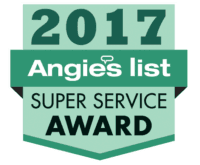 �In fact, in the last few years, insects have been making their appearance earlier in the spring – in February instead of March – and that means bad things for Frisco, TX homeowners. Pests have different ways of surviving cold weather. �Some burrow into the ground or under piles of leaves while some just bury their eggs in the ground, knowing that they themselves won�t survive. �Fire ants simply dig deeper underground and are only affected by multiple days of extremely low temperatures. �The eggs of some species of mosquitoes lie dormant in the soil until spring. 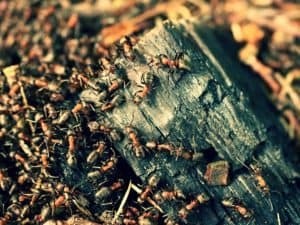 �Other pests, like termites, cockroaches and carpenter ants have a decreased level of activity during the winter but they survive by staying inside our homes for warmth, food and moisture. Fewer sub-zero weather days translates to fewer bugs dying and shorter periods of dormancy; that means more pest activity in the winter time and swarms of pests appearing earlier in the spring and often late winter. �In addition to the usual suspects like fire ants and cockroaches, mosquitoes that carry West Nile or the Zika virus and deer ticks that carry Lyme disease will become active much earlier than usual. �Termites and other wood-destroying bugs will increase their activity earlier in the year when the weather is mild and you�ll likely encounter swarming insects like wasps and bees earlier. There are a few self-help things you can do before you call an exterminator, like removing any excess water from melting ice and snow. �Pests need moisture, even during the winter. �Keep your yard and home clear of debris that can serve as nesting places for hibernating pests. �Rake leaves in the fall and avoid piling firewood near your home. �You should also inspect the outside of your home for access points for rodents like cracks, gaps and openings around utility cables and pipes that come into your home. �If you notice any termite activity, you find an active beehive, you find mouse or rat droppings around your home or you have other pest problems you can�t handle yourself, call for professional help. 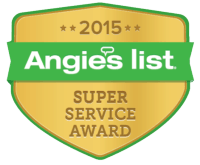 �An experienced exterminator can take care of just about any kind of pest problem all year round. 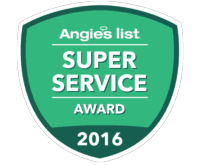 For the best exterminator in North Texas, call Safe Pro Pest Control in Frisco, TX at (972) 435-0700. �You can also visit www.safepropest.com to fill out an online contact form and find valuable coupons.